Which Juice Cleanse is Best? How do you decide what's best? The 7 questions we most frequently ask people to find out which Juice Cleanse is most likely to set them up for success. I mostly ask this just to suss out if they are doing it for the wrong reasons: i.e. a quick fix or only for weight loss. If that's the case, I will see if I can open their mind to a new perspective. Nourishment, healing, change in cravings, a reboot . . . those are reasons we can get behind! (I know, I know this questions has nothing to do with finding the right one, just finding out if one is right in the first place) :) That's not to say you won't lose weight on a juice cleanse, but going into with the goal of nourishing your body on a deep cellular body can sometimes help one do things to deeply nourish their minds as well. 2. Have you done a Juice Cleanse before? This is huge. If you are only drinking 6 juices, one of them being a water based tonic (i.e. Classic Detox), but are a busy mom who loves a sweaty work out every day, our Classic Detox Juice Cleanse will leave her hungry, cranky, and ready to fight her kids for a few bites of their mac and cheese . . . not a good look. I would suggest The Feast Juice Cleanse - my personal go to. The Feast Juice Cleanse is a new and improved version of the Athletes Cleanse. My husband's beefy personal trainer thrived on The Feast Juice Cleanse and my teeny (but very active) yogi friend experienced her best results yet. More Juice = More Results. 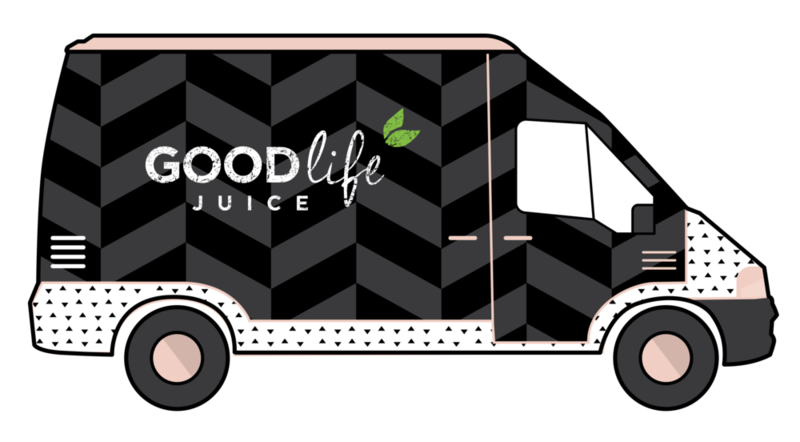 If you are hungry and feeling deprived, those negative emotions will break down as toxins and hold you back from reaching that glorious, soaring, life-is-awesome feeling that can come on a Juice Cleanse. More juice will usually lead to more weight loss as well (because of the above). Weight is not as simple as calories in, calories out. Your mental well being and peace of mind, along with the quality of those calories makes a big impact. 4. Are you a Veggie Fan, or fairly new to Plant Based Eating? People who eat a ton of veggies and a big variety of veggies, typically love our veggie based juices like Roots Remedy and All u Need. Those who are new to plant based eating may not. Our taste buds are drastically effected by sugars, artificial sweeteners, and processed foods. If those foods are in your diet, a carrot just won't taste as sweet as it does to someone who is used to pounding the veggie juice on a regular basis. Luckily we have so many delicious flavors, everyone will find a Juice Cleanse that suits them. And, the great news is the more juice you drink, the more you start to shift those cravings and taste buds. Veggie Lovers, get your hands on the Classic Detox cleanse if you are not very active. Or go for The Feast or a Custom Juice Cleanse with 7 juices if you are active. New to plant-based eating? Try The Introduction and get ready to fall in love. 5. Are you Worried about Consuming only Juice and want to Incorporate Food as well? 6. How Well are you Managing your Stress Levels? Stress and negative energy break down in our body as toxins and our body uses up a lot more energy when you are constantly in fight or flight mode. If you have a lot going on mentally, you will need more juice. Go for The Feast, or at least have 7 juices. It's also important to note that when your cleansing, these juices aren't just going to stir up the left over junk in your intestines from processed foods, drugs, sugar, meat and dairy . . .it's gonna stir up what's been going on emotionally. You can experience your emotions amplified. If you aren't in a place where you can do the work to process these emotions, then doing a juice cleanse might not be the right fit. If you want to dive in, I highly recommend journalling, voice journalling, meditating, nature walks and yoga . . . let it out baby! 7. How Long do you want to Cleanse for? 9 times out of 10 instead of an answer, I get a question: How long do you think I should cleanse for? Well, it really depends on your goal and your budget. If it is in your budget then I say start with 4. 95% of people will say they could have kept going after day 3. Day 2 is when your body realizes you are cleanses, and starts to back up your efforts. Day 3 you and your body are in sync. Any day you keep going after that your are doubling your efforts. Anything longer than 7 days people typically miss the ritual of eating too much, and 7 days would give you time for a serious deep clean and reboot. Keep in mind, even one day will give your body a rest from digesting food and flood your body with nutrients so do what feels best for you. Still not sure which Juice Cleanse is right for you? Just listen to your intuition and try not to over think it. And don't forget! We are always here to offer you support and answer your questions so don't hesitate to reach out.